The closer we get to leaving Draenor, the more it seems to grow on me. Spurred on by the thought of the Mage Class Hall and the realization that everyone else seems to have multiple 100s, I made a final push to get another character to level 100 yesterday. With a bit of prior preparation, she went from level 93 to mid way through 99 in less than 15 minutes. 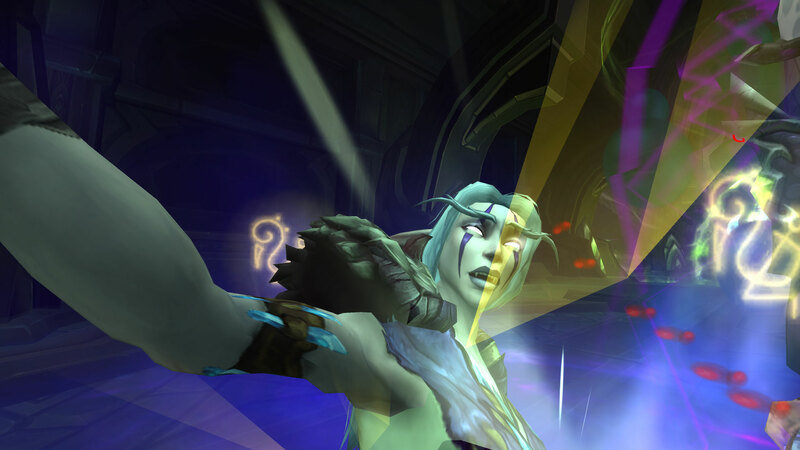 Those Elixirs of the Rapid Mind are without doubt my new favourite thing about WoD. Merrymaker Merrily, cat “owner”, Fire Mage and Pyromancer (mostly the flames indicate death by fire) is now albeit temporarily at the level cap. Manaweave Robe: The reward from an old Mage quest, now removed from the Game. No idea which of my various Mages I completed the quest on. Whilst I won’t be leveling her first, I do plan on getting her into her class hall and completing her artifact weapon as soon as possible. When I first started playing the Beta, I was almost determined to dislike Garrisons because they weren’t player housing. I started out critical because on the back of playing Wildstar, the biggest thing I felt WoW was missing was my own little corner of Azeroth. 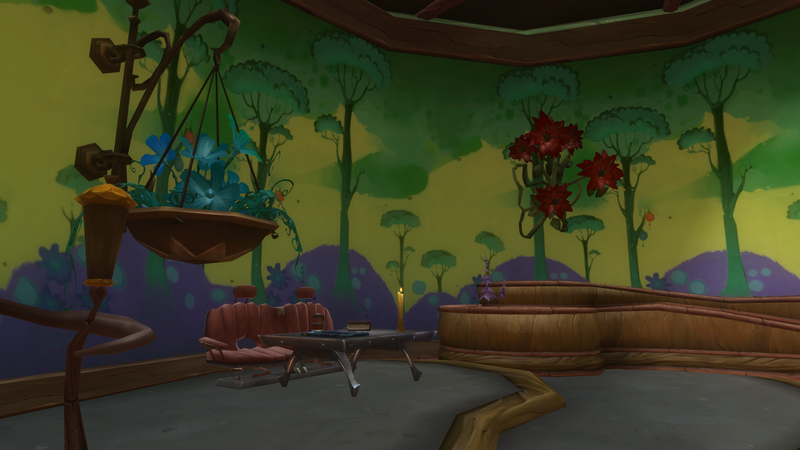 I wanted to be able to decorate, to hide out and grow huge possibly man eating plants in solitude. However as with most things, my feelings towards them have softened the more exposed I am. Sure there are still things which bug me, for example I’d love a shared Guild area attached to our own private space, perhaps with some of the functionality of Stormshield, i.e an Inn minus the quests for drunken parties or a banking facilities where you could hang out but on the whole, the positives outweigh the negatives for me. Having for example the Firebeards spending their extended honeymoon tending the Alliance Stables is a lovely touch for those of us who helped them get married back in Cataclysm. It’s always good to be able to tie the current incarnation of the game to what came before, giving that sense of a real world in which it’s not just us the players who change but the NPCs too. They grow up, form relationships and decide to explore new frontiers as well. Okay, it’s a bit disconcerting when your buildings are besieged by your creepy crawlies but it adds a personal feel to the whole place. The only thing I’d suggest to make it better would be if it worked the same as the Stables, picking favourites rather than at random but really that’s a minor change. 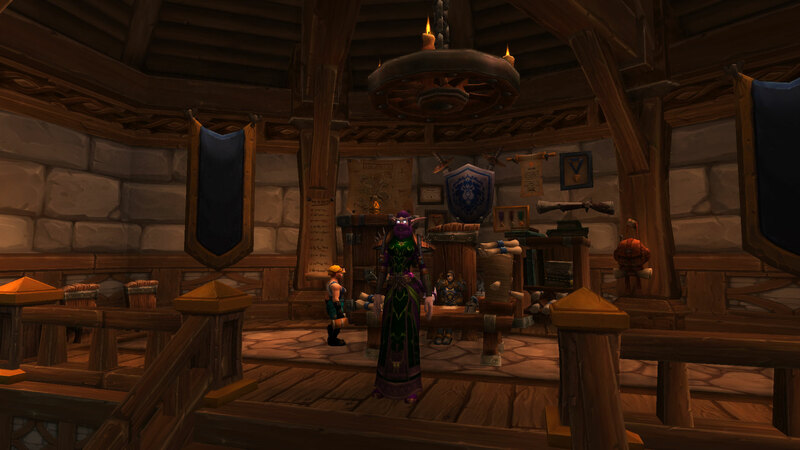 I’ve visited garrisons belonging to others as well as having seen screenshots and it’s interesting just how diverse they are. Mr Harpy and I have almost the same buildings but managed to lay them completely differently which means I keep getting confused and annoyed whether I’m visiting. I also liked the fact that I wanted more buildings than the game allows which gives you motivation to push alts if you have them although I can imagine this being exceedingly annoying if your not an Alt person. I also like the potential this has as the game progresses, each patch can add more of these campaign missions to explore lore, hand out followers and fancy toys. According to the Followers list for example, we should be able to recruit Thisalee Crow or Choluna depending on your Faction at some point in the future through these. 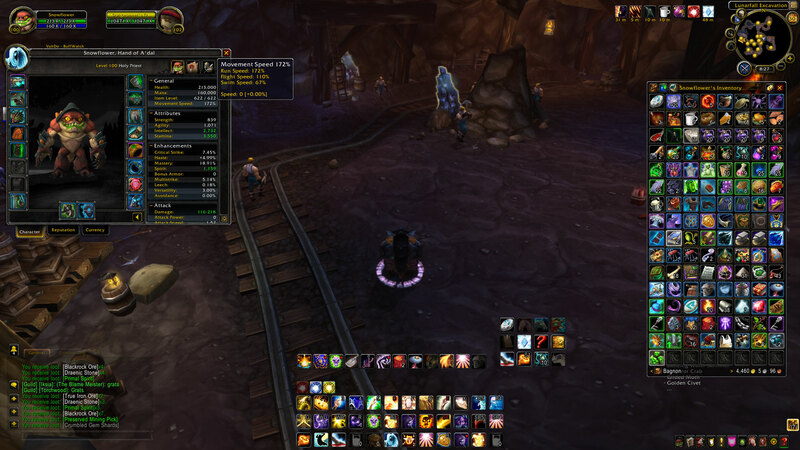 On the face of it, I do question whether 645 loot should be obtainable by sending your minions out to fight whilst you sleep, work or watch tv but given that it does happen, it’s a great way of gearing up especially if you’re slowly leveling alts in the background. Whilst RNG hasn’t been that kind to me, Mr Harpy is currently working on his 4th or 5th piece. 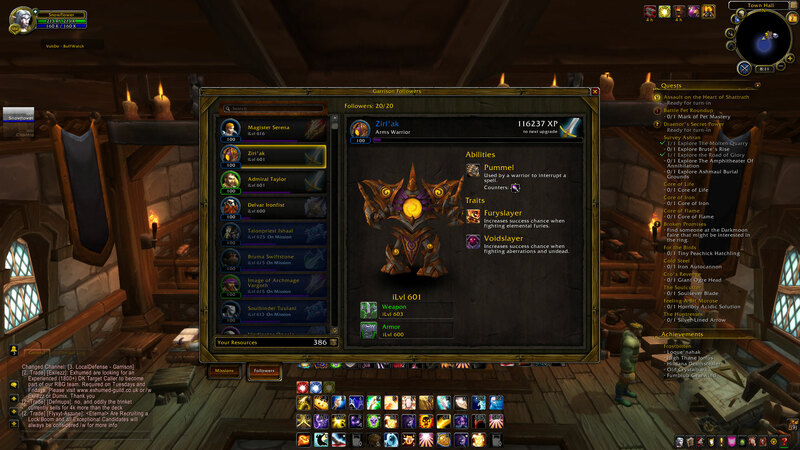 My little Shadowpriest already has 615 gear waiting for her despite being level 92 because her followers are already lv 100 and it will be interesting to see if once those followers have geared up, she can start stockpiling 630 and then 645 pieces. I also like the fact that you get toys, tokens for old mounts and followers from the missions because you never know what will show up next in your list. Attempting to get better and better scores makes these attacks fun in my book. I also like the little details, rescue civilians caught in the open, catch snipers or saboteurs before they can wreck havoc. Feels a bit like those free to play games you get on your phone where they want you to check back every 30 minutes to 12 hours to start off a new project. In order to maximize the rewards you get, there is that feeling that you need to check regularly and make as much use of your minions time as possible. 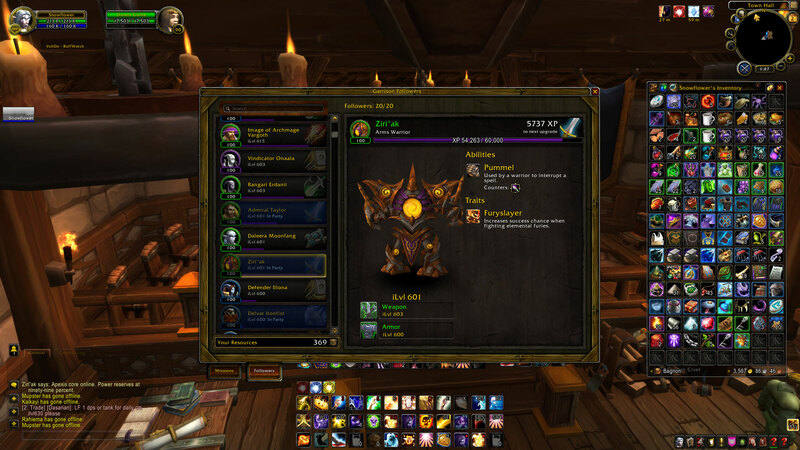 Ignoring aesthetics and personal favourites, if you are a completionist the easiest way to tick off everything available from Garrisons will be to have multiple alts each working on different things. I’ve mentioned this once or twice before, but I feel our Garrisons need that tie with the old world more than anywhere else in Draenor. I’ve got my fingers crossed for a Winter Veil tree and some candy canes next week. To be fair, this is mostly the fault of RNG as Mr Harpy got two followers with the scavenger trait straight out of the gate and has been capped on Garrison resources for a while now, whereas I wasn’t quite so lucky and am hanging in there at around the thousand mark because every time I get more, I need to upgrade something. However having listened to guild mates complain about their lack of resources I suspect it’s a problem for a lot of people. Don’t get me wrong, I love my herb garden but I do question why I who has neither profession should have a bank full of mats without having to use the Auction House or trade them from a friend or alt. This is the first incarnation of the game in which I haven’t had to spend any money whatsoever on leveling Engineering and it does seem a little unfair to those who were hoping to make some money from their professions. Finally these are a few of my hopes for my Garrison going forward. Seasonal decorations: When it comes to the various Festivals in WoW surely these will be mirrored in our Garrisons as what better way to show our troops exactly what we’re fighting for and also to make a tiny corner of a foreign planet feel a bit more homely. I mean we don’t want them deserting in droves do we. The Druid Tree in the corner of the Alliance Garrison which is currently a little quiet, a little reserved: I hope that at some point, perhaps tied to the Garrison Campaign mission concerning Thisalee Crow which appears not yet implemented will make a better use of this tranquil space. Some sort of building which makes reference to your either your class/race or both: Obviously as a Nightelf Priest, a Moonwell would be the obvious choice but coming up with something for everyone shouldn’t be too hard. For Human, Dwarf and Forsaken Priests it could be a chapel, although the Forsaken version would look like the chapel you begin your Forsaken career in. Rogues might have a trapdoor leading to a secret lair and Warriors something reminiscent of Fray Island with their followers stacking the stands. 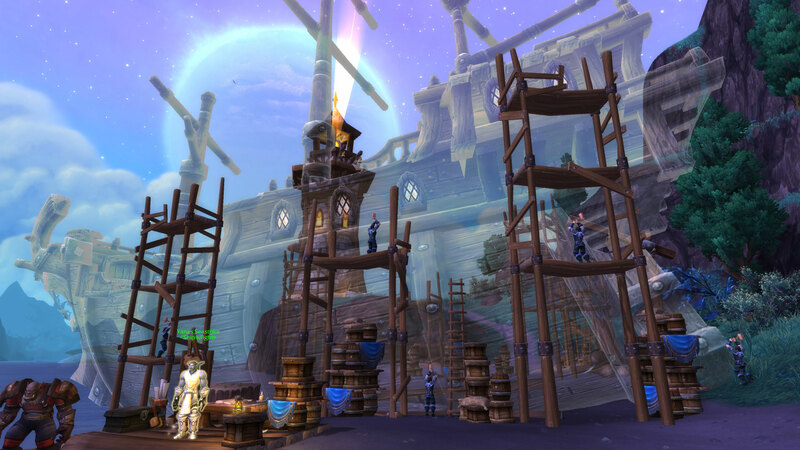 What if anything would you like to see added to your garrison? 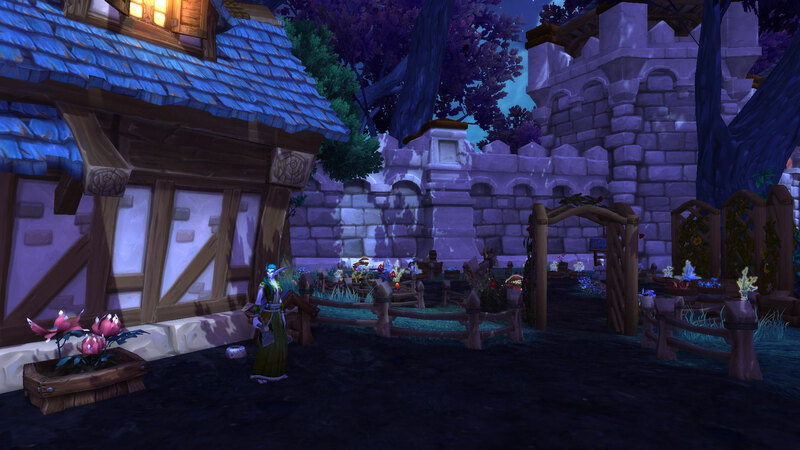 The more time I spend in my own little oasis of Shadowmoon Valley calm, the more I’m enjoying my Garrison. Life however is very much a learning curve and thus I thought I’d share with you all the handful of facts that I’ve only just figured out despite having been level 100 since the 16th of November. 1. Getting a Follower as Green or Blue whilst obviously not as awesome as getting them as Purple is not the end of the world. As you can see from my rather messy UI, both of these screenshots depict the robot belonging to Snowflower. The first one shows him in the state I found him in and the latter shows his condition many missions later. 2. 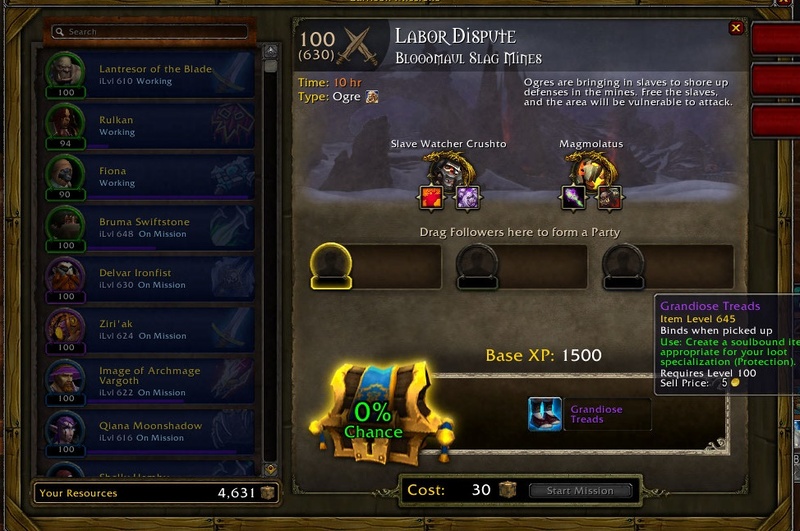 If your minions have good enough gear, you can potentially get better items than you can get from the Raid Finder purely through missions. Kit a bunch of them out in item level 630 gear (the Salvage yard is great for this) and cross your fingers. So far Mr Harpy has received a 645 chest and 645 boots from letting his Followers take the strain whilst he’s been out at work. I must admit I have mixed feelings about this, should NPCs essentially go and fetch you higher item level gear than you get playing with other random people in a multi player game but it does give you options when you’re looking to gear up for raiding. 3. 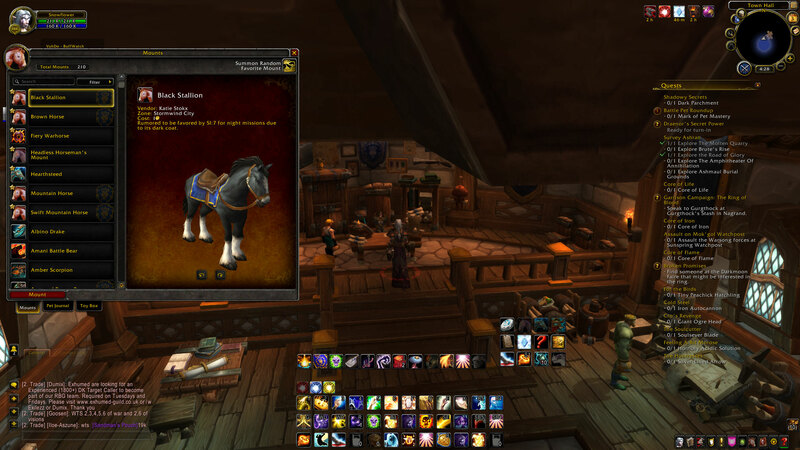 If you possess a Stables, favourite the Mounts you want on the Mounts collection screen and watch them turn up. Here are my favourites and yes, they can all be loosely classed as horses. Below you can see half of my level 3 Stables complete with said Horses wandering around. 4. Mining is a nightmare with a level 3 Mine, however the best way to make it as pain free and quick as possible is to use the Goren Garb because it makes you roll both cuter and faster. The egg you loot this from does however take seven days to hatch so the sooner it’s picked up the better. 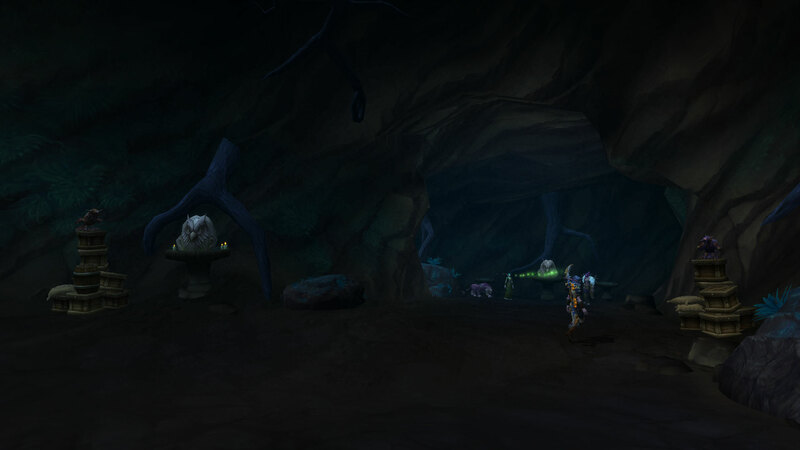 You loot the egg from a Cracked Goren Egg in Gorgrond and instructions on the actual location can be found on the WoWhead page. There is definitely a world of potential out there with the Garrisons and it will be interesting to see how Blizzard keep taking it forward as we move through the patches. As a child I spent much of my childhood growing up in the real world version of Garrisons, military outposts set up on foreign soil. Instead of Santa bringing presents in something as pedestrian as a sleigh he would arrive in our school playground dangling from a Chinook and for the squadron party, he would turn up in a Harrier Jump Jet (perhaps not surprisingly given that’s what the squadron flew, with hindsight this also probably explains why my Father refused to let me aged 12, long legged and big eyed sit on Santa’s knee despite Santa’s attempts at insisting). Christmas abroad was taken far more seriously than at any school I attended in my own country. Ignoring the interesting ways in which they managed to spend the Defense budget when I was a child, I have to admit I’m finding the lack of festival related fun and games in our Garrisons both short sighted and rather sad. Nothing motivates the troops garrisoned in some foreign land like reminders of what they’re fighting for, therefore I feel Blizzard are missing a trick here. 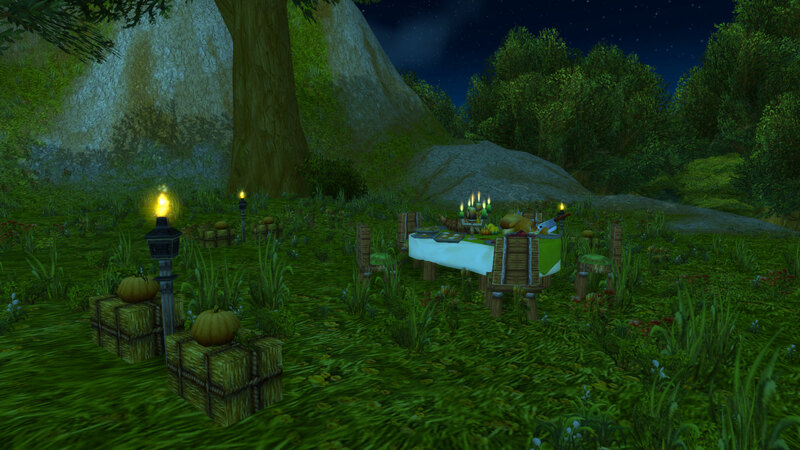 There should be a bountiful table laden with food sitting in our garrison just as when Winter Veil rolls around we should get wreaths and a giant tree. Even better of course would be to let us decide/purchase decorations ourselves perhaps with garrison resources so that it’s a choice whether you want to cover your fountain in candles or hang axes from fir trees. So seven days have gone flying by since we passed beneath the portal… Despite all the server “issues”, Mr Harpy and I arrived at the level cap on Sunday which I must admit surprised us both, especially since he was working Thursday and Friday. We’ve got level 3 Garrisons, ticked off the Silver Proving Grounds achievements for our respective specs and are planning to head into dungeons in pursuit of gold, gear and toys courtesy of the Garrison Inn quests at the weekend. In the meantime though I’d thought I’d talk about my over all feelings towards the expansion as a whole. The whole leveling experience itself. At least from the Alliance perspective, the quest chains were powerful, interesting and used cut scenes to convey emotions and show things which wouldn’t have worked in cold hard quest text. Compared to say Uldum and it’s cutscenes where I found myself reaching for the ESC button the second Harrison Jones appeared, this time around, it’s a completely different story. Yrel as a character also surprised me. I don’t think Blizzard fell into any of the myriad traps they could have with her. Yes, she starts out unsure of herself as a leader, but everyone has to start somewhere and as you progress through the zones, she’s not the weak annoying character she could have become. Her voice does grate slightly though. The sheer quantity of pets and toy items to be discovered hiding around the world. Garrisons (when they choose to work). On paper at least, I wasn’t a fan but now I have this quiet corner of Shadowmoon Valley which is mine and mine alone, my feelings have changed. Already I have my own little hideaway where I can sit, watching guildchat go scrolling by. We hit 100 and were left looking at each other. We have five dungeons on normal if you could Skyreach which we’d already run for the legendary ring quest and the proving grounds quest in our Garrisons but there didn’t seem to be a clear path towards better gear. Yes, there are level 100 elites who have a chance of dropping something, you can buy things with Apexis crystals and of course make things if you have the relevant profession but we essentially stumbled our way into these things. Perhaps a bill board in the Garrison suggesting where to look would have helped, instead of pushing people to search the internet themselves. Ashran. From everything I’ve read on the forums, every Ashran seems horribly unbalanced. On our server, there is around 100-150 Horde plus a large rock guy sitting in the Alliance base slaughtering the 15 or so Alliance brave enough to enter. I don’t understand why they didn’t follow on from the Tol Barad method where numbers are capped, for example if there are 20 of one faction, the other faction can only have 30 players to at least give tactical play a chance. 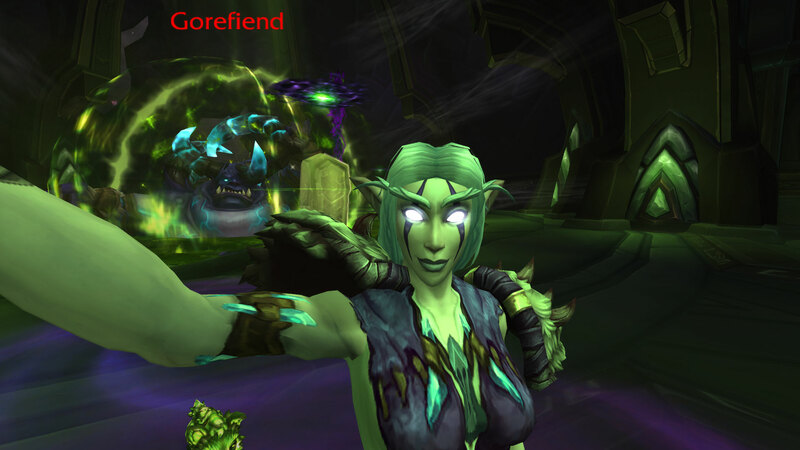 If Mr Harpy and I had any intent of PvPing seriously this expansion we would have to server transfer to ensure we weren’t miles behind when the area season starts and that to me is just wrong. All in all, I’m having the most fun I’ve had in WoW in a long time. Yes, the launch wasn’t brilliant and I admit I had a minor rant to Mr Harpy who develops software for a living, pointing out that if his work went live so prone to falling over, he’d be out of a job by now. His rational and reasonable response was simple, 10 million people aren’t all trying to use his software at once and should they do so, no doubt it would be a disaster. Plus, apart from the odd queue last weekend and one or two sticky episodes where my Garrison’s gravity trapped me for an hour or two, we didn’t have many issues.